It was supposed to happen on the 28 of February 2012. It was supposed to be held at Plenary Hall, Kuala Lumpur Convention Centre. It was supposed to begin at 8pm. I was so looking forward to Erykah Badu's concert when I heard that I'll be receiving tickets to her concert to enjoy the show. I eagerly expected and excitedly anticipated it with plans so that I will NOT miss it. But then came the day when they announced that her concert has been delayed to the 29th of February, 2012. Although my intentional planning for collecting the tickets has been delayed too due to reprinting of the tickets, still it's no biggie for that inconvenience. In fact, I've gained some time off because of that free period which I have allocated to collect the tickets. But I do pity those that are from out of town and even as far as East Malaysia who has made plans to watch the concert but had to change plans due to it being a day later. The day was almost upon us and I just so managed to collect the tickets. Unfortunately, as I was just asking around for any interested friend to join me, I received a rather abrupt and shocking news the day before the concert that it has been cancelled. The reason was quite unclear to me at that moment, all I knew was that it was cancelled due to non-conformity to Puspal standards which touches on religious sensitivity. This certainly has aggravated my already unhappy state since 4 days before and with such cloudy reason, it merely unsettles me more. Only on the next day that I got to know of the reason more fully which is another ridiculous reason. 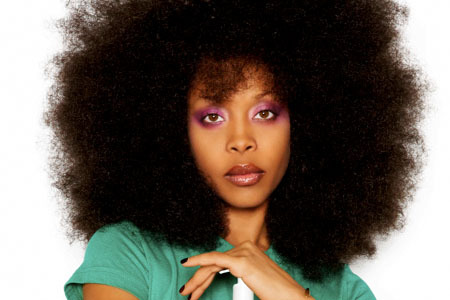 The show was cancelled because earlier, The Star paper has released an article in promotion of Erykah Badu's concert. 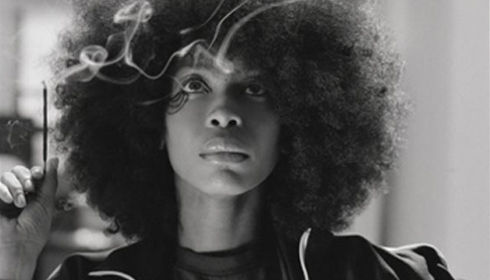 Within the article was a photo of Erykah Badu with tattoos on her body of which there were tattoos depicting of Allah and this is deem offensive to Muslim who disdain such practices. (To me, I don't even know what's the big deal since the queen of neo-soul don't even have tattoos on her body -.- It was merely a major slip up on The Star's part.) The Star immediately issued an apology on the same day and a long article the next day. But there was a glimmer of hope when I saw that the organizers of the concert has not announce of the show's cancellation yet. A quick visit to it's website has revealed that they are fighting for the show to happen. This drew out mixed reaction from those who wanted to attend the concert. In the end, it concluded with a press conference with Erykah Badu just hours before the show to announce the cancellation of it. Well, what can I say? It was predicted to be a losing battle if it takes that long. Hey Fish, I did manage to get sponsored tickets to her show which got me really happy and excited. Imagine the sadness I carry when they announced that the show was cancelled. I do on occasion provide free passes to shows, parties and movies, but most of the time it's just asking for one person to accompany me. I usually ask around if there's anybody who's interested on my Facebook and Twitter. So if you want to join me, look around my Facebook and Twitter posts!